It is always great to have Dan back to present. He never lets us down on the quality of the wines so this time it was the turn of Taylors Wines from Clare Valley, South Aussie. Dan has moved on since he last presented at the club and is now the NZ Area Manager for Taylor Brown. Dan starts to tell us the story of how TB started and it goes something like this. Ross Brown and Bill Taylor got together over a very long lunch. After considerable food, wine and debate, TB was the result. 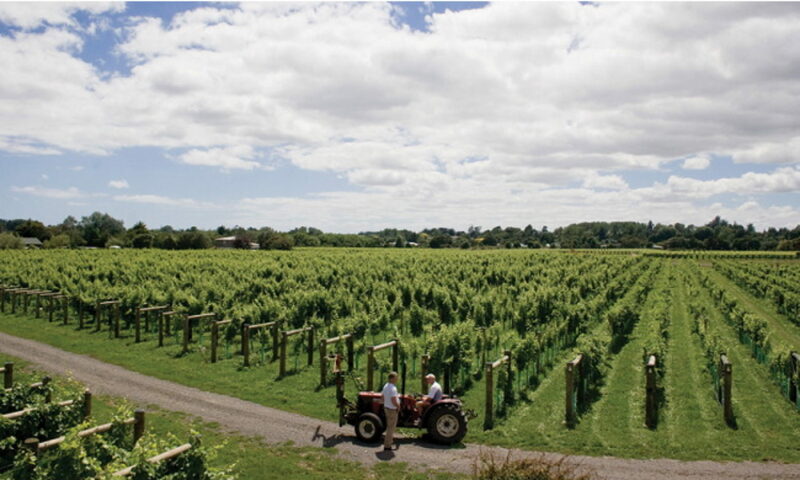 A collaboration of two families working together to promote their wines here in New Zealand only. Both are also the part of Aussies famous, ‘First Families of Wine‘. Much like our ‘Family of Twelve‘. Not to be outdone the quaffer wine was a very sweet number from Brown Brothers, a 2014 Moscato/Sauvignon Blanc. A little fizz with a delightful rosehip and tropical perfume. I’d recommend serving it ice cold on a hot day. Members were then treated to (my first equal wine of the night) a 2012 Taylors Estate Riesling. Straw yellow with a bready and intense lime bouquet. And as you’d expect from Clare Valley, bone dry, with a hint of sweetness reminiscent of dried apricots and a rich long finish. I give this 18/20. This was followed by five reds. The 80 Acres wines needed airing and was still tight after about 30 minutes. Now we’re at the pointy end. Ever noticed the icon design on Taylors wines labels? 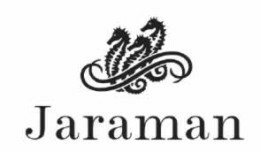 It has a Jaraman, an Aboriginal term for seahorse, found in the limestones when the vineyard was first being prepared and now an iconic style well-known for its character and quality. The Cab/Sauv and Shiraz didn’t disappoint. Strong fruit-driven flavours, rich intense mouthfeel with a lingering (for more) finish. I give these 16/20. The star of the night had to be the St. Andrews Shiraz. This is a classic wine – distinctive and high-quality. Not only for its rich deep purple hue, it’s smoky cedar and a dark 80% chocolate bouquet, and it’s stewed plum, coffee and oaky mouthfeel, but the finish leaves everything to the imagination – warm, sensual, and persistent. I give this 18/20. The only regret of the night, and as Dan highlighted, us Kiwi’s don’t drink much chardonnay from outside NZ. Come on let’s change that because I for know the Aussies can produce fine quality chardy’s. Dan did a great job in representing this range of wines and the club wishes Dan and TB all the success they deserve. The changes continue into June but things will settle down after that. Despite a little re-organisation from time to time it has, none the less, been an interesting year with some very enjoyable and interesting tastings. For June, we have obtained the services of Dan Baldock. Dan is well known in wine circles and has presented before, particularly presenting Penfolds as part of Treasury Wines. We are hoping that the evening will concentrate on Taylor’s products although he has Brown Bros as well. It is great to be able to present another iconic Australian brand. Actually I am gutted as I probably will not be able to attend, and Taylors is one of my favourites. As mentioned in “From the Editor” we have had Dan presenting previously. Many of you will recall the Penfolds tastings through the auspices of Treasury Wines. His focus has now changed, and he currently represents Taylors and Brown Bros in the Central Regions of New Zealand. These are well known Australian brands and continue our practice of trying to have at least one presentation of a notable Australian producer each year. Next month’s tasting will concentrate on Taylors, but there may be a couple of Brown Bros to ensure a reasonable white element to the tasting. This will surely be another top evening. More detail as it becomes available later. This will surely be another top evening. More detail as it becomes available later. What a night, a great turn out of members and guests. The wines were varied and not all hit the mark with members’ but there was general agreement that the higher quality wines were excellent. The evening demonstrated the Brown Brothers philosophy of producing a comprehensive range of wine styles and blends, with many being somewhat experimental and innovative. wrapped up with a Tawny Port and cheese. Clearly the flagship “Patricia” Cabernet Sauvignon was the highlight of the evening, enhanced by early exposure to the air through being decanted at the start of the evening. An enjoyable tasting, a near record turnout, and a great evening for those attending. Wow, a great turn out for Brown Brothers in April, we hope you all enjoyed the occasion. You will be aware that next meeting is the AGM and we look forward to another good turn-out. No cost, and some excellent offerings from our cellar, the business is not onerous, we look forward to seeing you there. The committee is looking for someone who might be prepared to look after the club tasting glasses on an ongoing basis, can anyone help out? It would be helpful if someone had access to a commercial dish washer, then the glasses can be washed in the trays. Please give this some thought and if you can help let someone on the committee know. 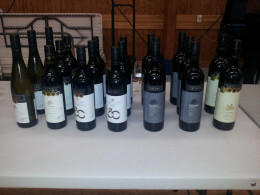 It was noted that some members approached the front table seeking a little extra tasting of one or two of the wines presented last month, during the presentation. The committee has no problem with those attending meetings seeking an additional taste of a wine they like, but would appreciate it if people waited until the formal session was over.Members are welcome to sample any wine that is left over, but it is likely to be disruptive if people approach the front table intermittently through the meeting. We would appreciate it if you waited until the presentation was completed. Thanks. NB See a number of papers associated with the AGM. These include last year’s AGM Minutes, a copy of the agenda if you don’t want to copy the whole of this newsletter, and a paragraph supporting the motion to be presented at the meeting in relation to life membership. Venue: Johnsonville Community Centre Hall. How to get here. In 1885 John Francis Brown, aged 18, planted 10 acres of mostly Riesling, Muscat and Shiraz grapes on the Milawa property that the family had purchased in a land auction back in 1857. Located in the lower reaches of the King Valley in North East Victoria, the Milawa Vineyard is the birth place of the Brown Brothers company. The Milawa Vineyard has become the fruit source for renowned wines such as Patricia Noble Riesling, Shiraz Mondeuse & Cabernet and Dolcetto, and is the home to Brown Brothers’ winemaking facilities. Brown Brothers believe that wines are as different as the people who drink them which is why they have developed such a comprehensive range of wine styles and blends. With vineyards located in a diverse range of climatic regions and a ‘kindergarten’ winery specifically designed for innovation, you can be sure there’s an exceptional Brown Brothers wine to suit every palate. Quaffer: Zibibbo Rosa – a low-alcohol sparkling pink wine. Let’s sit back and enjoy a presentation on wines produced by an iconic Australian wine producer. As we are hosting Brown Brothers in April the attached item on their website might be of interest. The item is from January 2012. ‘Brown Brothers Public Relations Manager, Katherine Brown, has been chosen as one of 15 participants for the fifth intake of the Australian Wine Industry’s successful development program Future Leaders – Succession for the Australian Wine Sector. Participants represent a broad cross-section of the industry, from winemakers and viticulturists to professionals involved with marketing, sales, public relations and industry development. More than 50 applications were received for the program, which will be delivered for the third time by the Australian Rural Leadership Foundation (ARLF). Five sessions will be held in different venues over six months, beginning in Canberra in May. “The quality and diversity of the applicants remains very high and that has been a key part of the program’s success,” said Stephen Strachan, Chief Executive of the Winemakers’ Federation of Australia (WFA). “These are young or mid-career leaders who we are hoping will get involved with important issues for the sector at a national, state and regional level. Future Leaders is a joint initiative of WFA, Wine Grape Growers Australia (now Australian Vignerons), Wine Australia and the Grape and Wine Research and Development Corporation. Still some detail to work out but it currently looks like we will have Bernie Atkins, Area Manager, Brown Brothers Wines NZ Ltd as our April presenter. We are really looking forward to having such an iconic Australian producer deliver from their very wide variety of wines.